Travel deep into Everglades National Park where you will be taken to one of the best-rated safari parks. 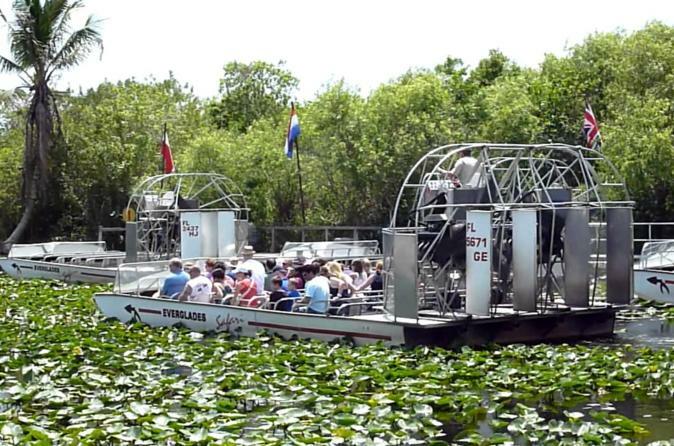 This is a 30-40 minutes - shared airboat tour and wildlife encounter, followed by an alligator show 20-25 minutes. Though the overall experience will last approximately 4 hours. Come enjoy the incredible experience the Everglades has to offer while you skim across the grassy water looking for alligators, turtles and wading birds! This tour includes private ground transportation in a luxury black van and admission to the safari park where you can tour the reptile, glades and exotic wildlife exhibits.